Photos from school who recently visited the SiloArtFactory. For 3rd years continued the Art Factory Silo decorated Dionysia! 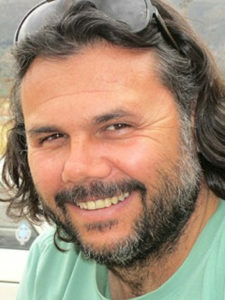 Stelios D. Maragkos was born in 1968 and grew up in Mycenae, one of the most historical places in Greece and not only. From child worked at the pottery workshop of his parents. So, as the artist draws heavily on his inspiration from ancient Greece. Today major works adorn Greek cities and famous places like the hotel Great Britain. 1978-1994: Employment in the workshop of his parents. 1994: With his wife Georgia start and second report, the Mycenaeans Melathron. 2001: Opened two more shops in Nafplio, a with artworks and a jeweler, which cease their operations in the wake of the attacks on the twin towers. 2011: The Silo Art Factory opens its doors to the public. During the years is involved in many domestic and international exhibitions. Stelios D. Carpenter is proud of his family, from which it draws power. Georgia’s wife, who married in 1994, and their four children, Jamie, Zafiri, Joanna and Angelic. Συνεχίζοντας την περιήγηση στο siloart.gr, αποδέχεστε τη χρήση cookies. OK Μάθετε περισσότερα.